I spent my last week in Japan in Osaka. I loved Osaka and returned 3 times during my 2-month travel in Japan. 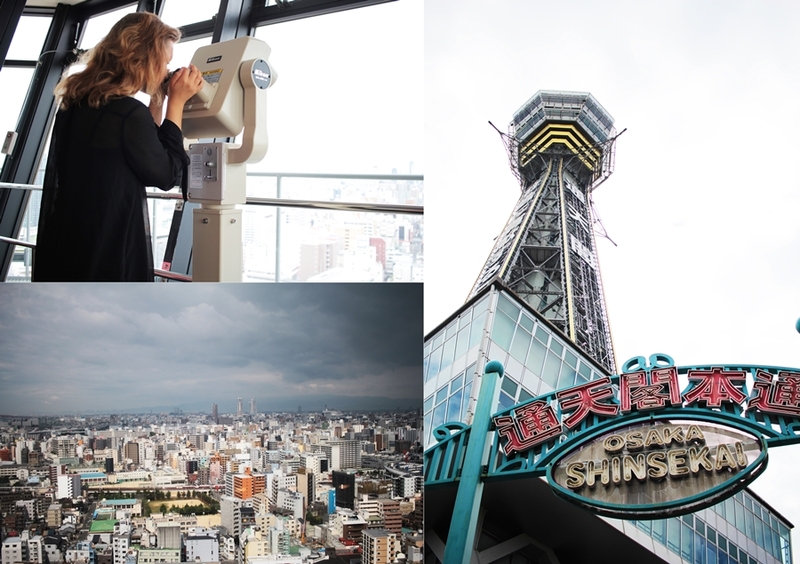 During my last week, I was teaming up with the Osaka Convention& Tourism Bureau and experienced some insights of Osaka, that I´m happy to share with you today..
A day in the UNIVERSAL STUDIOS JAPAN is a day in another world. Through my stay in Osaka I was invited to the UNIVERSAL STUDIOS JAPAN and it was a dream to come true for me. I'm mad for amusement parks, the thrill and the adventure. I've already heart so much positives reviews from friends and visitors, that I couldn't wait for the day to finally come up. As a solo traveler, I'm more flexible and decided to spend a full day in the park. What I appreciated most was the variety of people coming together. Young and old people enjoyed the favorites and rides of the park. Event next to me in the roller coaster I met some seniors, so I can tell, there's so limit. While I was visiting the park in the holiday season I was still surprised about the waiting times, which haven't been too bad if you consider it to be high season. Also as a single rider I usually haven't had to wait longer than 10 minutes in line. Safety comes first at the park. The staff also speaks English and is not only in the park to work, moreover the staff interacts with the guests and is open minded. The different themes are trailer for all age groups and kind of interest. Even meeting up with hello kitty can be a dream to come true over here. For those who love Harry porter there is a whole Harry Potter world in the park, which was built for 500mio USD. It is so realistic and detailed that one absolutely feels the Hogwarts vibes. I've been taking most rides in the park. I honestly liked them all a lot but especially the minion world caught my heart. One will also spot many guest walking around in minion costumes and enjoy merchandise like toys or popcorn buckets. Beside that it's mind blowing how creative the details and shops are. One will be able to fell on set and get background information and unique impressions. 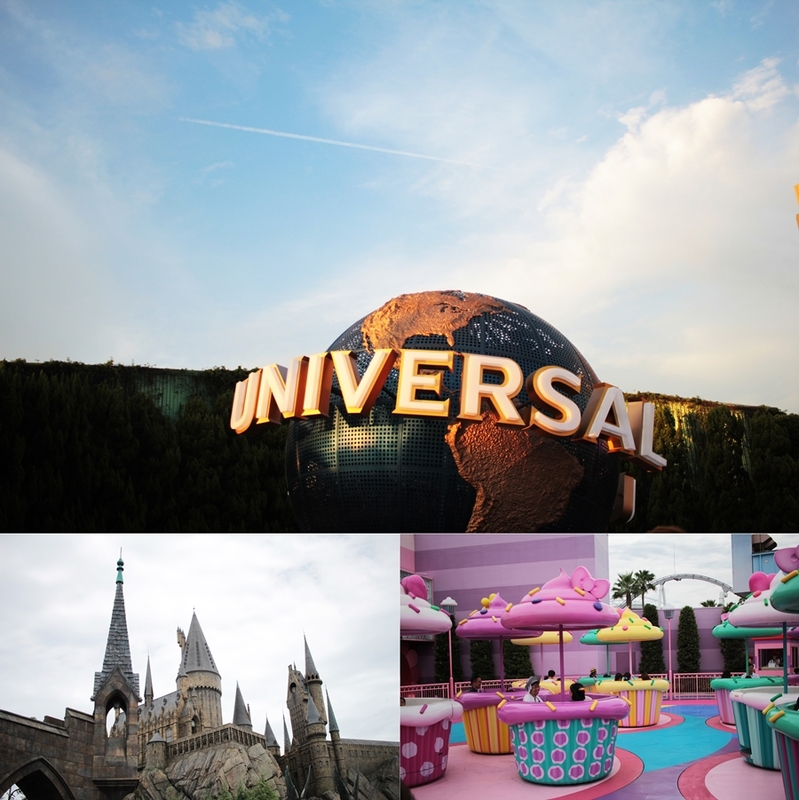 A great fact is that the UNIVERSAL STUDIOS JAPAN are easy to access with the public transport. Also, various coaches and express busses do stop at the park. Due the fact that I was traveling with and Osaka Amazing Pass, I could visit more than 38+ facilities for free, so as taking the public transport for free and even get discounts and specials at certain shops. One of the sights that I visited Tsutenkaku Tower, which is not only an observation tower, but also a museum. The views are spectacular and the entry is free with an Osaka amazing pass. A good spot for photos and touristic activities. I had so many highlights within my week in Osaka but something truly cultural and special has been a home cooking class (Washoku Home Cooking). 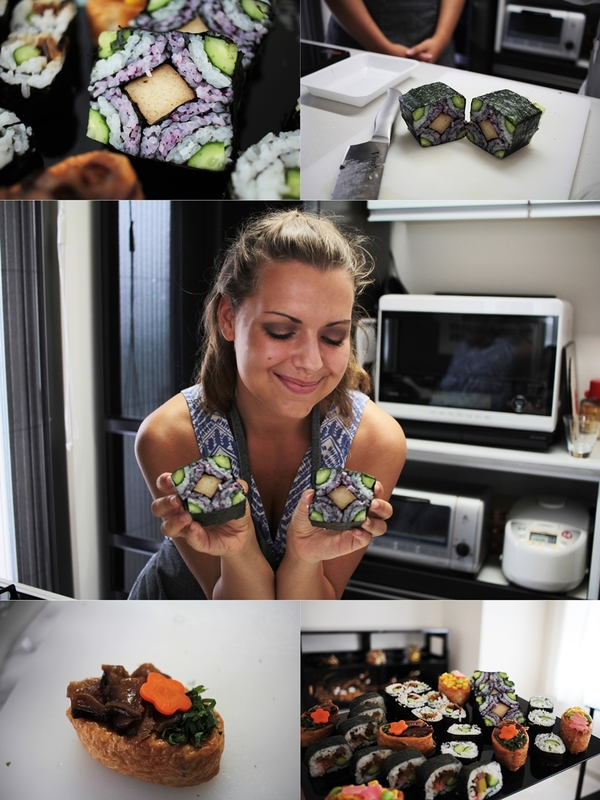 Sushi is my favorite food and I´m regularly preparing it myself. However, I needed some more advice and insight how to prepare “real” Japanese sushi. The cooking class has been so much fun and a great lesson for me. I can´t wait to be back home to try the recipes and the tips and tricks myself. As I was having a home cooking class it was also a special event for me, as I was visiting a Japanese apartment for the first time and got an impression of how it feels to live in Osaka. My cooking class teacher has also been a darling and she was also fluent in English. I would recommend a cooking class all the time and will probably organize a cooking class myself again, during my future travels to Japan but especially Osaka. When it comes to the phrase „best of both worlds” one can imagine that it would have to do something with food. Osaka is well known for their enlarged food culture. Another part is the way Japanese people dress, especially women. Combining both cultural influences is not only a great idea, it is superb. I was having a kimono lunch at the Nikko hotel, which teamed up with the kimono renting store WASOBI. WASOBI is located in the Honmachi station and only a short walk in distance of the Nikko hotel. The Nikko hotel is a beautiful hotel with international guests and many restaurants, so as a traditional Japanese restaurant, where I enjoyed my kimono lunch out of a bento box. It was a tasty experience that is generally not even expensive. 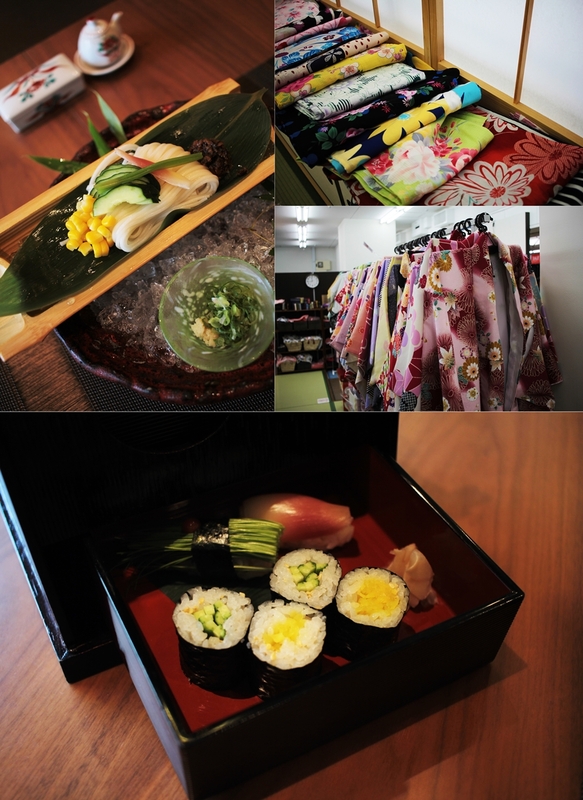 The kimono lunch is a great invention for foreign travelers who want to experience culture from inside and outside. Japan is well known for tall buildings and a modern society, however it is also known for some records and one of these records is the Tempozan Giant Ferris Wheel, which is one of the world´s biggest Ferris wheels with a height of 112,5m. for those who dare (like me), will go for one of the 4 gondolas that have an invisible floor. Get ready for an ultimate experience that you won´t have anywhere else. Beside the Tempozan Giant Ferris wheel there is also another wheel located in Osaka, which is the HEP FIVE Ferris wheel at Umeda station, just in the heart of Osaka. The red Ferris wheel is a popular attraction. It is also one of the sights that are included in the Osaka amazing pass, with which holders will enjoy complimentary entry. The ride takes 15 minutes and is located to a huge shopping mall, including countless food shops. My last sightseeing spot was the Umeda sky building, which is in a close walking distance to the Ferris wheel at Umeda station. 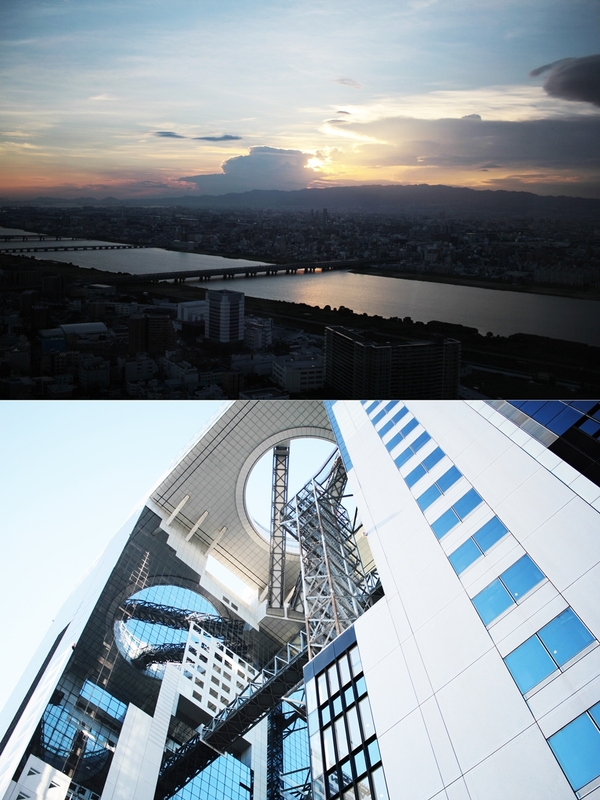 The Umeda sky building offers a 360-panorama view above Osaka and is 173m high. I also shot a time laps of the sunset during my stay. Osaka has been so beautiful and while I was more the kind of “Tokyo” girl before my arrival to Japan, I have to admit that I liked Osaka even a little more than Tokyo. The local people have been so kind and supportive and I generally felt “home” in Kansai area. Osaka is only in short distance to cities like Nara or Kyoto and should be definitely considered when traveling to Japan. thank you Karolina. I really love Japan. Wo kann man das Sushi machen besser lernen als in Japan?